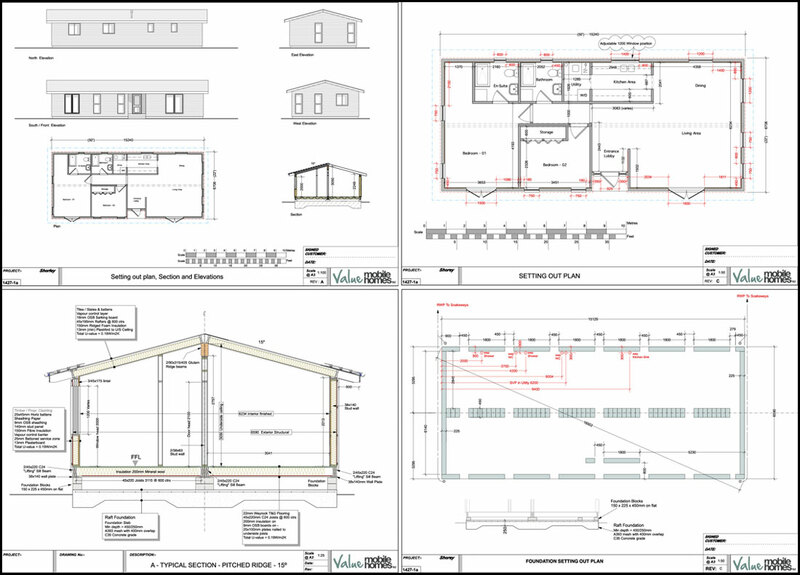 Free – Visit our Floorplans page and choose from over 50 mobile home plans available for use free of charge. DIY – Download our design template and produce scaled drawings yourself. Suitable for application. Bespoke – We can produce floorplan and elevation drawings and for your bespoke design from £150. Scaled Drawings for Planning Applications and Lawful Development Certificates are available from our Architect. £250 for homes between 90-150 m2 in size. Drawings are based upon designs sketched by you on our design template (camera photo images of sketches are fine). We often need to make minor alterations to ensure the home conforms to the ‘caravans act’. You can make several detailed alterations to the plans with no additional costs.